We are FCI kennel. 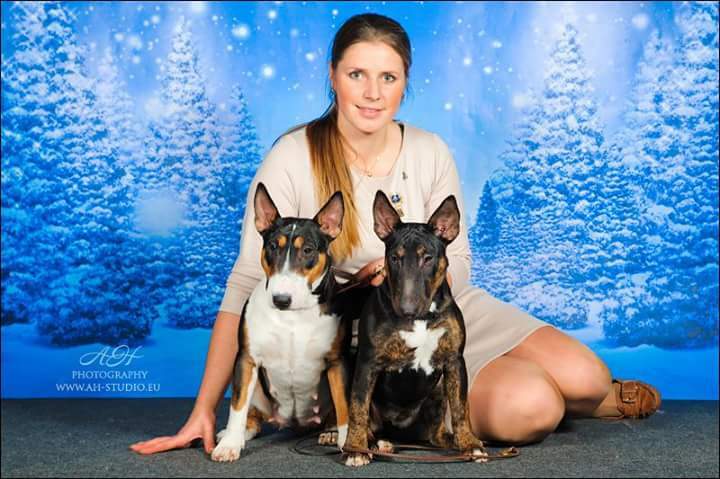 Our kennel is working with miniature bullteriers, standart bullterriers and working bavarian mountain dogs. We are trying to breed good looking and healthy dogs and if we talk about bavarians also dogs with good working instinkts. For us very important is to have healthy dog, thats why our dogs are fully health tested. Our dogs are family members and they live with us in house. Dogs are having walks and running in forest every day and in summertime also swimming. 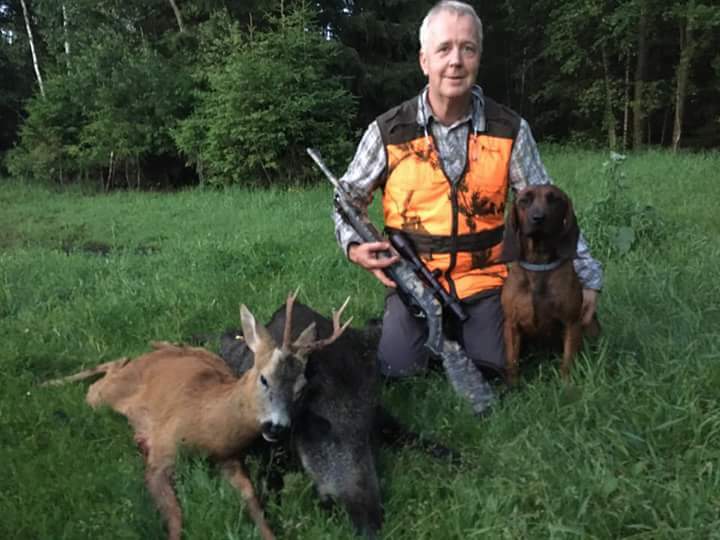 Janne is working with bavarian mountain hounds, so they can do the thing what they likes and what they are made for - it is tracking wounded animals. 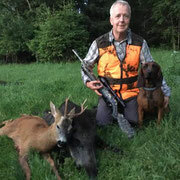 He is hunter and profesional tracker, working also with police where our bavarians are helping to find animals who is suffering after car accidents. 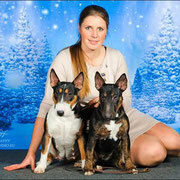 Kristīne is profesional handler so she is working with prepering dogs for shows, excersising, training and showing them. We are feeding our dogs with Royal Canin and fresh food, it is the best combination for our dogs.